Wow, what an amazing trip to Chicago that was! 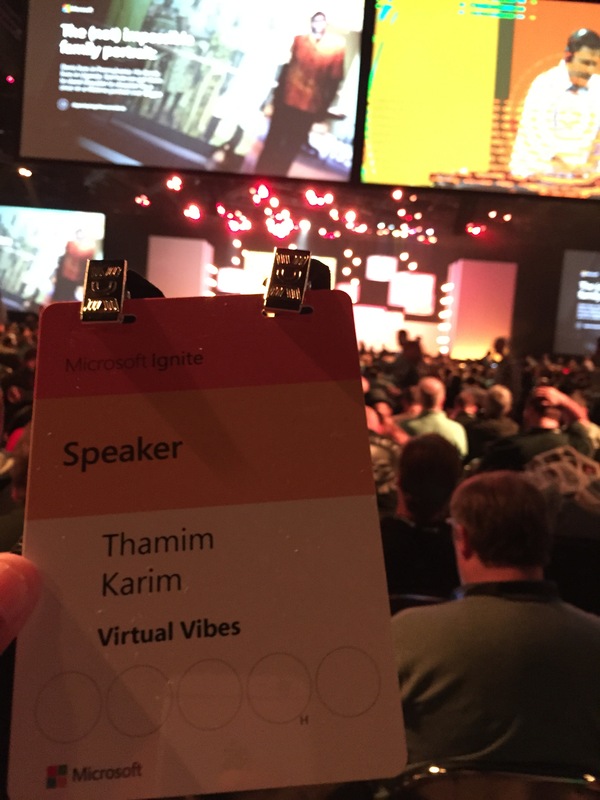 Ignite was buzzing with people, technology and some really great sessions. Despite the fact that there was only two App-V focused sessions in the week we still managed to pack in the announcements and some really cool content. The next release of App-V (5.1) scheduled for this summer got a lot of love this Ignite with the official announcements being made in both mine and Briton’s session and Steve and Aaron’s. With improvements to the server console, package conversion, scripting capabilities, package editor, CoW support among other things, do make sure you check out the sessions below for more information. Now App-V 5.1 has been released you can check out all the new features here. Project Centennial is probably one of the most positive announcements in recent times concerning App-V and its wider adoption as a standard. It gives even more confidence to everyone that it is core to Microsoft’s strategy going forward and affirming that anyone who uses App-V already is on the right path for the future of the Windows platform. This particular project focuses on the conversion of classic apps to universal and uses underlying App-V capabilities to achieve this. Check out John Sheehan’s session at the Build conference the week before Ignite for an in-depth look, also be sure to check out the Ignite sessions to hear from Senior PM Manager Briton and Senior PM Aaron on this topic. Hi! Thanks for the post! Quick question regarding App-V 5.1 and ACG. Any idea if there is a change on the COMS limitation on grouping applications that have COMS enabled and those that dont? This restriction will still exist in App-V 5.1 to my knowledge however you never know until the actual release. Does anybody know the release date for App-V 5.1? In the presentation at Ignite, i heard that it will be available with Windows 10 but windows 10 release date has been announced and nothing has been said about App-V. Thanks Thamim for sharing this valuable information. 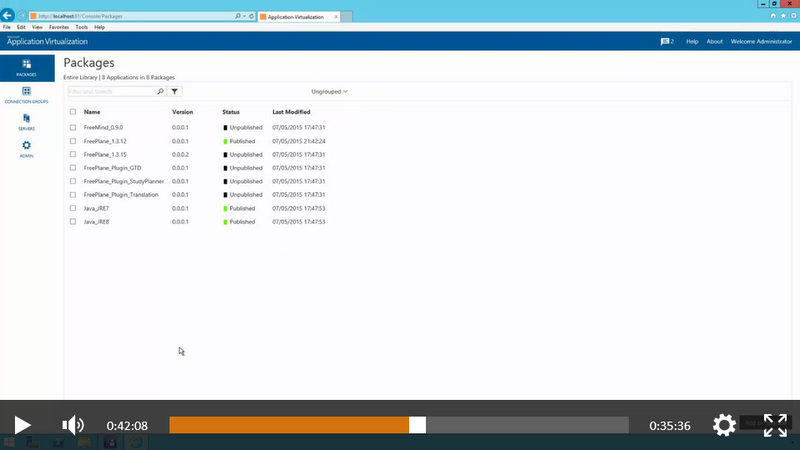 Also can you share the advantages &disadvantages of using or creating connection group through SCCM over full infrastructure server mode. Thank you Thamim. Will have a look and come back if I have any query. Any idea when App-V 5.1 will come out. Just discovered an issue with App-V 5.0 SP3 HF2 with Windows 10. See http://blogs.technet.com/b/appv/archive/2015/05/27/hotfix-package-2-for-microsoft-app-v-5-0-service-pack-3-is-now-available.aspx and https://social.technet.microsoft.com/Forums/en-US/4eb1ef06-aa47-45b3-a901-3d6022f40ddd/appv5-and-windows-10?forum=mdopappv. It’s now blocking my Win10 testing with App-V with the latest available version. 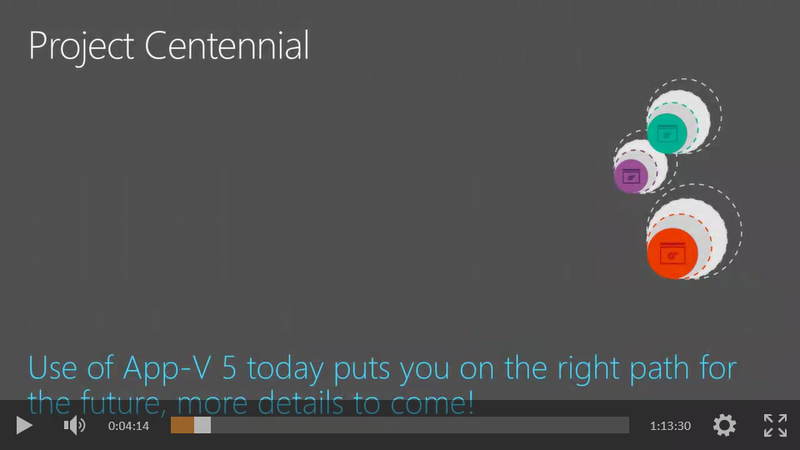 As mentioned on the forums Windows 10 support will be included with App-V 5.1. There is no public release date but you can expect a release very soon!